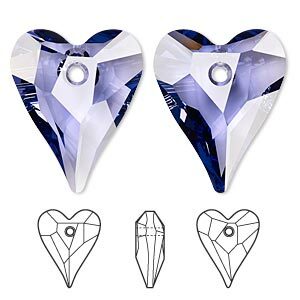 Drop, Swarovski® crystals, tanzanite, 12x10mm faceted wild heart pendant (6240). Sold per pkg of 2. 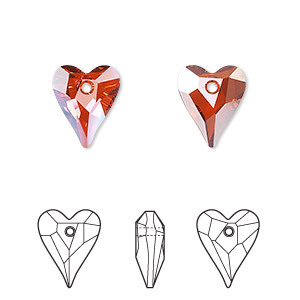 Item Number: H20-8455CR Have a question about this item? 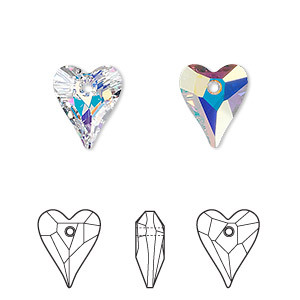 Drop, Swarovski® crystals, tanzanite, 12x10mm faceted wild heart pendant (6240). 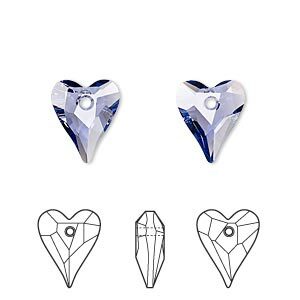 Sold per pkg of 18. 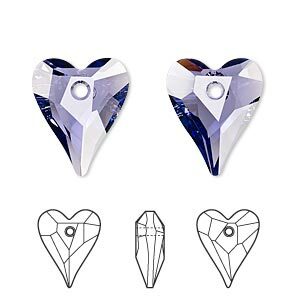 Drop, Swarovski® crystals, tanzanite, 12x10mm faceted wild heart pendant (6240). Sold per pkg of 108.